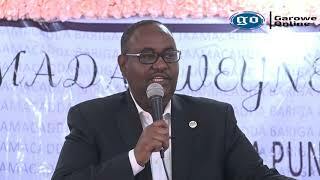 HARGEISA, Somaliland - The Foreign Minister of Somaliland, Sa'ad Ali Shire has talked about issues related to the contest between Presidential Candidates vying for Presidency, Garowe Online reports. 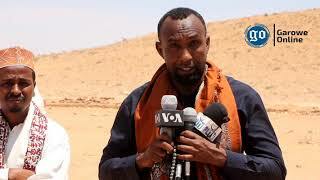 Speaking to Somaliland TV, Shire has called on all political leaders to maintain peace during the campaigns and elections and avoid sensitive words that could undermine the region's democracy. The Minister has cautioned the Presidential candidates from Kulmiye, the ruling party, UCID and WADDANI against ethnicized rhetoric, saying it could cause divisions among the people of Somaliland. 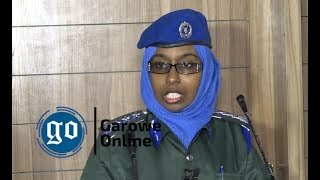 "At the present, we are hearing unfortunate and irrigating words being traded by the Somaliland presidential aspirants during their election campaigns," said Shire during the TV interview. "Insulting, indictment and humiliating each other do not bring a vote," he added. 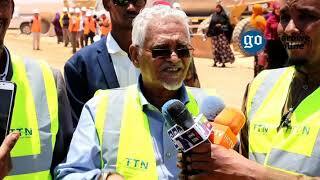 The Minister has made public that Somaliland is facing numerous challenges, including an extensive unemployment that has remained stubbornly high in recent years and education and infant mortality. Sa'ad Ali Shire highlighted that fifty-percent (50%) of the Somaliland population do not have clean water, while one-tenth of all child deaths occur within the first months of life because of malnutrition. Minister Shire called on the candidates to focus on the problems that Somaliland is currently facing and 'put them in a high priority' in their election campaign instead of concerned about their political gain. 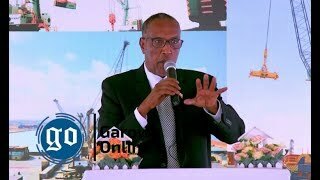 Finally, Shire stated that Somaliland's Foreign Affairs Ministry has achieved a tangible progress in the past years, including the agreement with DP World for the investment of Berbere port.